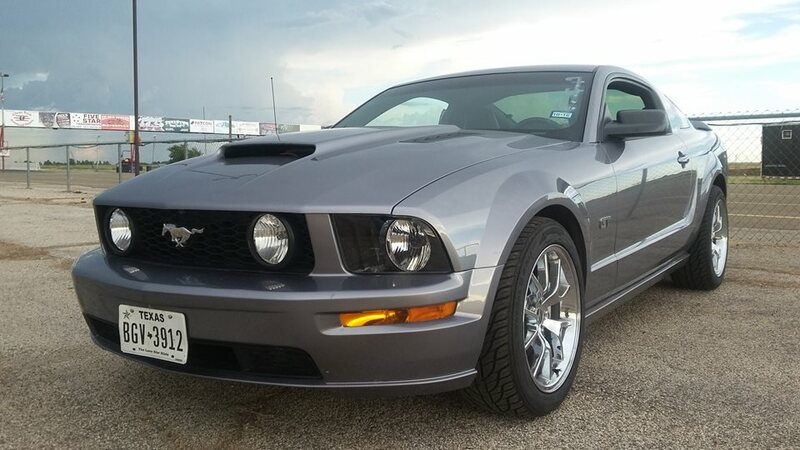 September 5th 2016 after completing a few modifications to Eleanor (Steeda CAI, BBK Ceramic long tube headers, Flowmaster American thunder series exhaust system, SR Performance 62mm throttle body, Ford Racing 3.73 gears, Cervinis Stalker 2 hood, MGW shifter) which took me a few years; I decided to see how she would do at the local dragstrip. The event was Test-N-Tune. Anybody who feels like racing their vehicle showed up, from street cars to race cars. I got in line waiting for my turn to make a 1/4 mile pass and a 69 camaro pulls up. I'm thinking awesome! Ford vs Chevy Mustang vs Camaro! We pull up to the tree and stage. The lights go yellow then green. We both squeaked our tires and blasted off down the strip. I could see the camaro out of the corner of my eye as it was gaining on me and all I could think as I shifted the gears were Come On baby! As we inched closer I could notice I got this. Winner! MUSTANG! By .15 seconds. When I was 19 I owned a 84 sedan DeVille but always wanted a coupe now 13 years later I found a coupe the same year I was born and my favorite color!